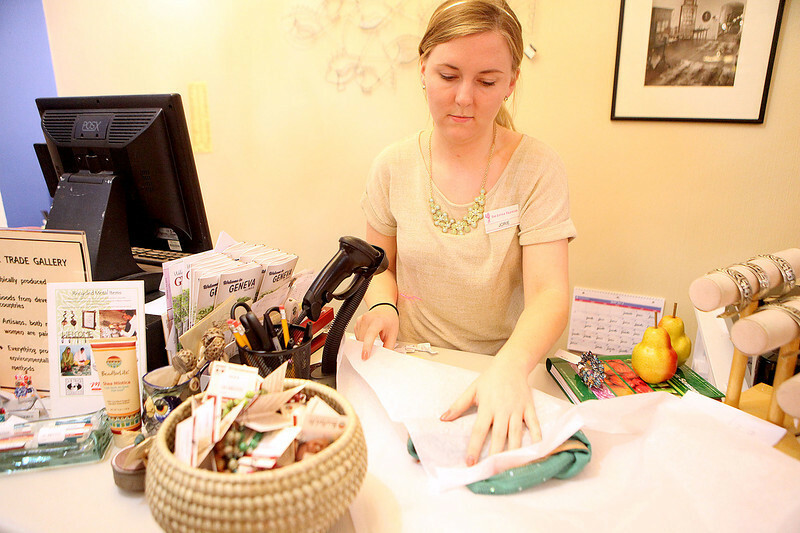 Sales associate Jorie Senese wraps a customer's purchase at the new Fair Trade Gallery that now takes space in part of The Little Traveler in downtown Geneva. Fair Trade provides a sustainable market for handcrafted products made by artisans around the world. World Fair Trade Day is Saturday, May 10, a global celebration of fair trade.